SpectraSensors, Inc. is the leading global provider of laser-based on-line analyzers for process control and monitoring applications with an installed base of over 6,000 units. SpectraSensors was formed in 1999 as a spin-off of the NASA-Caltech Jet Propulsion Laboratory. The Company’s products are designed specifically to improve process efficiency, throughput, safety, and to meet product specifications in natural gas production, transport, storage, distribution, gas processing, refining, petrochemical, and specialty and bulk gas production. Utilizing proprietary extractive tunable diode laser technology (TDL), SpectraSensors delivers accurate and robust measurements with extremely fast response times, resulting in improved performance, reliability and availability at a significantly lower total cost to "install" and "own" compared to alternative solutions. The Company’s gas analyzers measure Moisture (H2O), Carbon Dioxide (CO2), Hydrogen Sulfide (H2S), Ammonia (NH3), Acetylene (C2H2), Oxygen (O2) and more. SpectraSensors’ proprietary extractive TDL technology is rapidly being recognized by global energy providers as the preferred optical based process analytics technology. The Company’s products have been adopted by leading corporations, including British Petroleum, Chevron, Duke Energy, El Paso, Exxon-Mobil, Shell, Kinder Morgan, Williams Petroleum and many others. 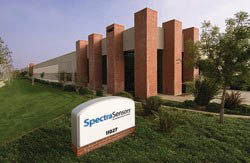 SpectraSensors is headquartered in Houston, Texas, USA with its technology development and manufacturing in Rancho Cucamonga, California. The Company has nearly 90 full-time employees, including 38 with engineering and science degrees. (View our Executive Team) Approximately, one third of these employees are located in Houston, TX with responsibilities in the areas of sales, marketing, service, software and application engineering. The other two thirds are located in Rancho Cucamonga, CA. The global infrastructure of the Company includes over 25 service locations and 50 sales channels in more than 50 countries across five world areas. SpectraSensors, Inc. is part of the Endress+Hauser Group. SpectraSensors was acquired on June 25, 2012 by Endress+Hauser and it will remain a USA based technology, manufacturing, marketing and sales operation, reporting directly to Endress+Hauser Corporate offices in Switzerland. 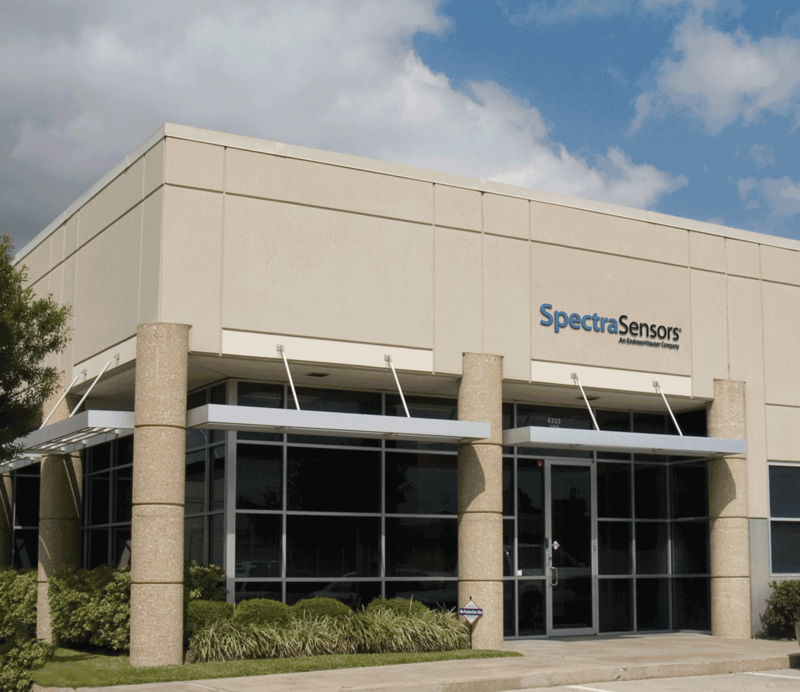 Over the years, SpectraSensors has developed a strong global representative and distributor network for its gas analytics products and the industries it serves. The Endress+Hauser Group will further enhance SpectraSensors ability to serve its customers globally for the next years and decades to come. 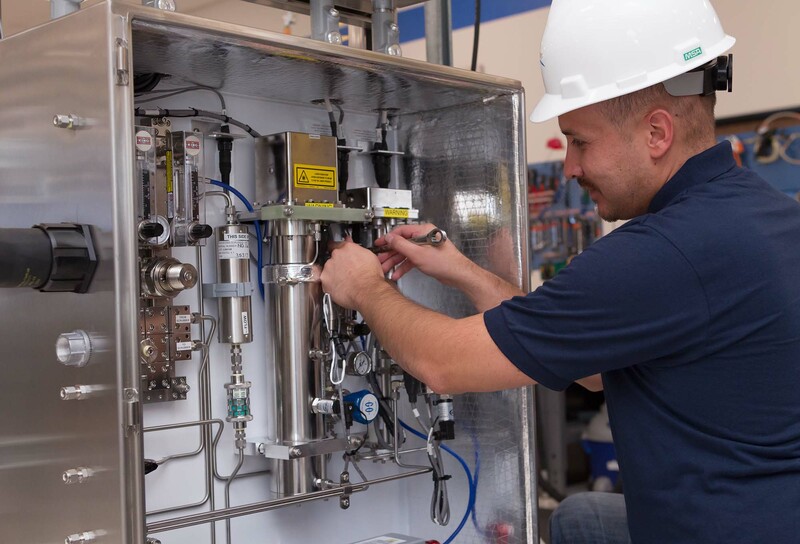 For Endress+Hauser Fact Sheet, please click here. For Endress+Hauser Imprint, please click here.